I love the trashy TV series Gossip Girl. To be specific, I love Blair Waldorf, one of the five main characters on the show. Blair has been, for a few years, one of my favourite people to watch on screen, to emulate in real life, to quote in any situation. I’m tempted to copy every other website on the Internet and put down my reasons for this in concise points (accompanied by witty gifs), but I think that would be an embarrassment to the teachers who put so much effort into teaching me how to write well structured, flowing essays. Now, it’s easy enough to figure out why any ambitious, self-important girl would automatically have a fondness for Blair. She’s in abundant possession of both those qualities, and along with that, she’s smart, well networked, and downright ruthless when it comes to getting what she wants. ‘If you really want something,’ she tells Serena, ‘you don’t stop for anyone or anything until you get it.’ She certainly seems to employ this philosophy, and doesn’t always play by the rules to ensure that she’s successful in her endeavours. And despite her bitchy asides and scheming takedowns, Blair has her heart in the right place. For someone who adores the conventional markers of success as I do, Blair seems the pinnacle of perfection. She has a near-perfect GPA, impressive internships and recommendations and, maybe best of all, an intensely passionate and never boring relationship. The last is something that takes up a lot of space in most discussions of Blair—how can you discuss her without bringing up Chuck, after all—but I’ll save it for another post. Separated from her context like this, Blair seems a commendable achiever, and not someone you’d assume would provide much in terms of emotional variety. Lay out her traits, and she comes across as someone who’s always living life on the more intense plane, plunging from one dramatic escapade to the other (in her love life) or charting out strategies to get to the next goal. You wouldn’t think this is a girl who, more than any other in her social circle, would entertain you and keep you engaged. Surely she has no time to appreciate the lighter side of life. High fashion and high drama and lots of pretty people. This is what Gossip Girl is made of. 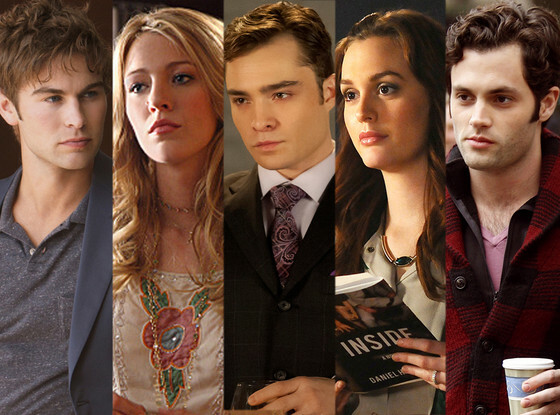 The Gossip Girl TV series is based, loosely, on the books of the same name by Cecily von Ziegesar. I’ve only had the privilege (or can confess to the shame) of reading one of those, and the tone of the books can’t be more different from that of the TV show. Where the books are lighthearted, irreverent and, at times, openly satirical about their over-priviliged characters, the TV show makes their hijinks life and death issues, their dating lives endlessly complicated and emotionally draining, and more than one character is faced with the prospect of utter and complete social elimination. This is in keeping with the TV genre the series seeks to conform to: that of teen drama. Like the earlier show from the same producers, The OC, Gossip Girl is meant to portray a world that most of its viewers will never be a part of. It’s hard to get people invested in this world—how is it possible to feel sad for someone like Serena van der Woodsen, the perfect ‘it’ girl who seems to have everything? The only way you can do that is to make her life hellish, her family seem a toxic waste dump, and give her a sackload of issues that she can only deal with by running away to the countryside and changing her name. To keep up a satirical take on the Upper East Side for six seasons, for an audience that it not known for its interest in that kind of comedy, would have been difficult. So the makers opted to change the books’ tone and make it darker, more serious and much, much more deadly. Sorry honey, it’s just hard to feel sad for you when you look like THAT. sympathy for characters who quite obviously have much more than you. You can’t help but realize, after a while, that all their problems are self-created, and they must be the stupidest people on earth to find themselves in these terrible situations again and again. Why would I feel bad for Serena, who seems to get into Brown, Yale, Columbia despite doing nothing in high school? 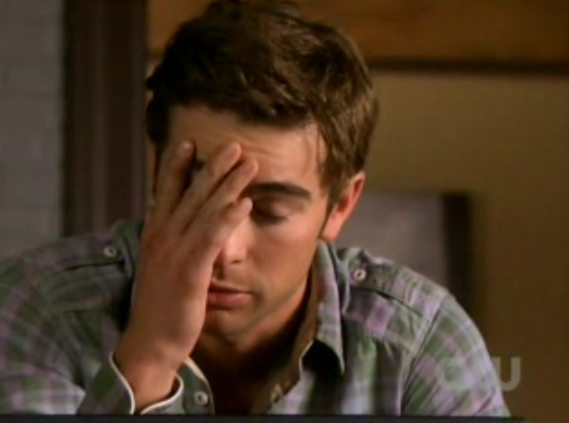 Why would I care about Nate’s broken heart when he’s shown me, time and again, that he can and will pick himself up just in time to fall for the next scheming, beautiful new face on the UES? Damn it,pretty boy. If only you weren’t, as Raina said, as smart as you look. So all these characters get pretty unbearable, even Dan Humphrey. But the ones who constantly rescue the show from taking itself too seriously, who remind you time and again of what the books were originally intended to convey, are Blair and her posse. Seriously, straight out of ‘Mean Girls’. I dont know if it’s just Leighton Meester’s superb delivery and comic timing, but Blair, despite having as ‘intense’ and dramatic a storyline as any of her peers, never becomes an emotional drag in the same way. She alone of the main characters doesn’t appear to always take herself seriously all the time. Meester never makes her lack conviction in herself, but at the same time, her character is one that could as easily belong in a comedy as in a self-styled drama. Blair’s scenes on the steps of the Met, with the ‘mean girls’, her plans to wrangle an internship with Indra Nooyi and become a ‘powerful woman’, her ‘bridesmaid contest’ serve not only to make her appear a woman serious about her position in the world, but also underlines the utter ridiculousness of that world and its traditions and hierarchies. Around her, the other characters look silly and diminished too, while she just comes across as smarter for having realised and played along with the utter stupidity of her surroundings. One of my friends once said that she liked people who ‘were so smart they can be openly silly because they are just that secure about themselves’. I think Blair, at least as played by Meester, is like that. Her overdone eyelash flutters, doe eyed looks and quicksilver facial expressions belong in a Mean Girls movie, or a romcom parody. And then she reminds you of her intelligence and intensity by declaring undying love for Chuck Bass—emotions which you can take all the more seriously because she’s not always operating on that register. Her ability to swing between levity and drama make her palatable, give you room to laugh at her and her world (thus reducing the threat an envy-potential of her world) as well as keep you hooked and rooting for her eventual happiness. I don’t know if Meester intends to get into comedy a la Mindy Kaling,but she certainly has a talent for it. And given her life story and ultimate crossover marriage, I’m sure any book she decides to write will be a more than interesting read.